Why headbands one may ask? Well here is the simple answer. I completed my Kundalini Yoga Teacher Training with Gurmukh, Gurushabd, Sat Siri, Tej Kaur and Harijiwan at Golden Bridge Yoga in Los Angeles in 2011. 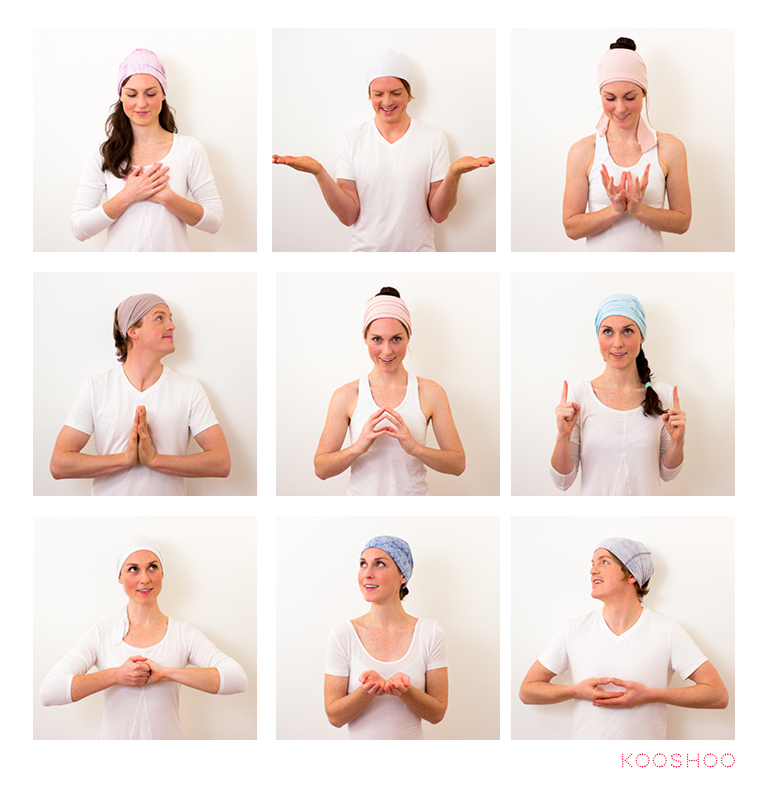 Yogi Bhajan (the Master of Kundalini Yoga and teacher that brought it to the West) strongly recommended that Kundalini Yoga Teachers wear a white head covering of natural fiber while teaching for their own personal upliftment and protection when handling these powerful energies. With this knowledge I began my exploration of ways to cover my head! My challenge was to find a head covering that performed (stayed on my head in all yoga classes), was made out of natural materials, felt good and was an expression of me! I soon realized I couldn’t find one anywhere! This is when I took it upon myself to start designing different headbands that were versatile enough that I could style them to wear out on the street and while I taught Kundalini yoga. Genius, Ithought, a headband as flexible as me! We made them with organic cotton, in a couple designs and with subtle shades of white so I could always have the freedom of wearing what felt right each day. Voilà – I’d found my home in head coverings. Both designs open up to 8 inches to cover the head. All headbands are consciously made in Los Angeles out of organic cotton and sustainably harvested eucalyptus fiber (Tencel). They come in classic, pure white and an array of 6 other beautiful shades of white including 100% handbatiked (an Indonesian dye technique using wax) Blazing Yellow and Steel Grey. If you want a beautiful burst of colour there are an additional five other great shades as well. With love, I wish you great headband adventures. Be you, be bountiful, be beautiful and be blissful!